Attorney General Eric T. Schneiderman announced today the conviction of Kurt Silverstein, Doctor of Osteopathic Medicine, following a 10 day jury trial. LI doctor sold prescriptions for narcotics and other controlled substances; faces up to 15 years in prison. Photo by: Luke Champion, via Free Images. Hauppauge, NY - January 27, 2017 - Attorney General Eric T. Schneiderman announced today the conviction of Kurt Silverstein, Doctor of Osteopathic Medicine, following a 10 day jury trial on felony charges of Criminal Sale of a Prescription, Unauthorized Practice of Medicine, and Falsifying Business Records. In 2016, Silverstein was indicted for selling prescriptions for opioid medications on several occasions; aiding, abetting and authorizing one of his non-physician employees to issue prescriptions for controlled substances at her discretion; and falsifying electronic medical records relating to the patients. The defendant, who practiced in Hauppauge from January 2009 through July 15, 2009, continually excused himself from his office, often to play ice hockey. In his absence, he had his receptionist print and sign his name to prescriptions for controlled substances, create electronic medical records of prescription-buying “patients,” and give the prescriptions to these individuals after they paid a cash “office visit” fee of up to $120. The electronic medical record would then falsely record physical examinations and observations of the “patient,” fictitious conversations with the “patient,” and make a notation to continue the course of “treatment” from the last visit, as if Silverstein had actually seen a real patient during an office visit. Later, in July 2011, before flying to Arizona on a trip he had booked months earlier, Silverstein left signed blank prescriptions for the receptionist to fill in when patients arrived for renewals of their prescriptions for controlled substances. He then falsified their electronic medical records to say, in one instance, that he was out of the office on an emergency and had left the patient’s prescription in a sealed envelope. In another case, he documented his supposed conversation with the patient. 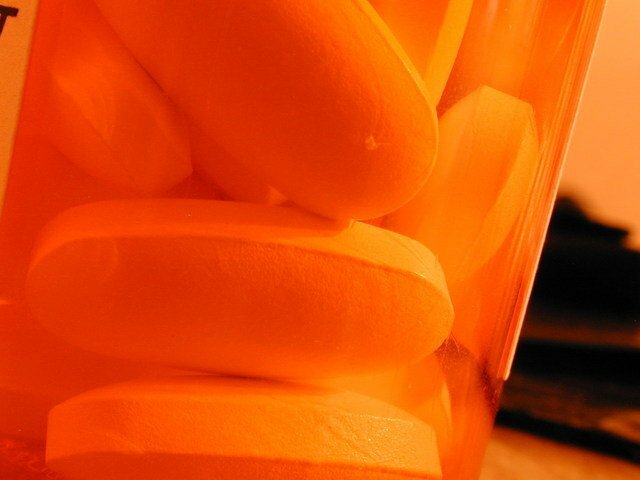 The indictment charged that the medications included the controlled substances Xanax, Norco (hydrocondone with acetaminophen), Suboxone, Adderall, and Clonazepam. Judge Timothy P. Mazzei, Suffolk County Court, presided over the jury trial. The case was adjourned to March 28. 2017 for sentencing. Silverstein, of Calverton, faces a maximum sentence of 15 years imprisonment on the class C felony prescription sale charges. Silverstein was indicted by a Suffolk County Grand Jury in June 2016, and was convicted by jury trial on January 26, 2017. The Attorney General thanks the United States Department of Justice, Drug Enforcement Administration, and specifically Diversion Investigator Joseph Mendez for referring this matter to this Office, and Diversion Investigator Robert Schlee for supporting the prosecution. He also notes with appreciation the support provided by Roy Nemerson, Deputy Counsel to the New York State Department of Health, Office of Professional Medical Conduct. This case was presented to the jury by Special Assistant Attorney General Veronica Bindrim-MacDevitt of the Medicaid Fraud Control Unit (MFCU), Hauppauge Regional Office with trial support from Anne Liptak, Confidential Legal Assistant. This case was investigated by Special Investigator Stephen Clarke and former Special Investigator Christopher Ward (now NYPD) with assistance from Supervising Investigator Greg Muroff and Deputy Chief of Downstate Investigations Kenneth Morgan. The audit investigation was conducted by Senior Auditor Investigators Gretchen Hugh and Joanna-Joy Volo. Kathleen Yoos is the Hauppauge Regional Chief Auditor. Jane Zwirn-Turkin is the Regional Director of the MFCU Hauppauge Office. Assistant Attorney General Thomas O’Hanlon is MFCU Chief of Criminal Investigations, Downstate. MFCU is led by Director Amy Held and Assistant Deputy Attorney General Paul J. Mahoney. Subject: LongIsland.com - Your Name sent you Article details of "A.G. Schneiderman Announces Conviction of Suffolk County Doctor for Criminal Sale of Opioid Prescriptions"